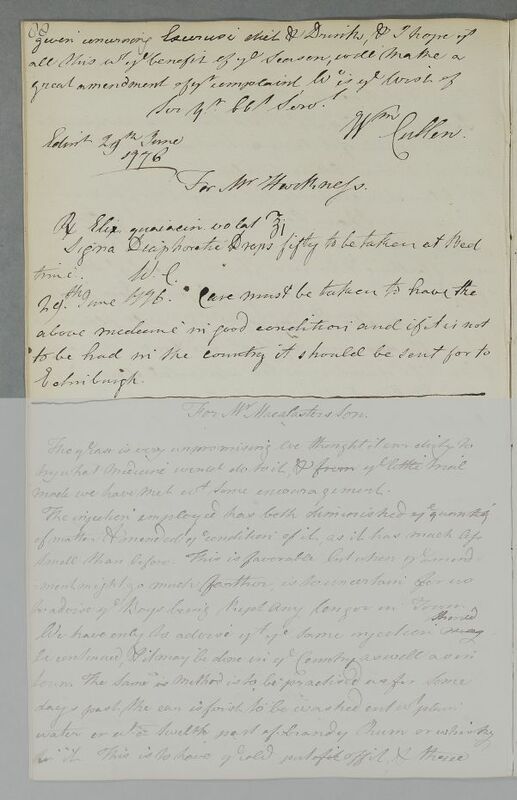 Reply, presumably to Richard Allen, concerning 'Mr Harkness', with advice on the flesh brush and diaphoretics. 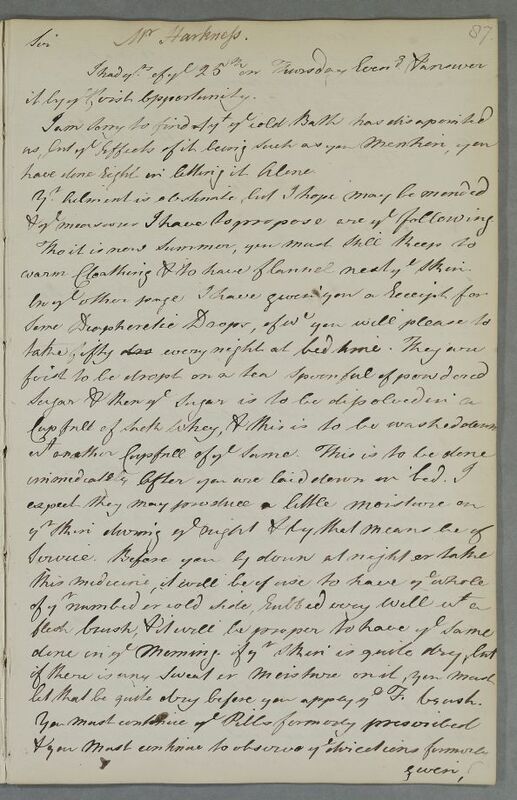 Summary Reply, presumably to Richard Allen, concerning 'Mr Harkness', with advice on the flesh brush and diaphoretics. Case of Robert Harkness with a protracted history of headaches, stomach problems and a more recent bout of fever. it by the first opportunity. have done right in letting it alone. warm Cloathing & to have flannel next the skin. let that be quite dry before you apply the Flesh brush. Take an ounce of Volatile Elixir of Guaiacin. Label: Diaphoretic Drops fifty to be taken at Bed time. it by ye first opportunity. warm Cloathing & to have flannel next ye skin. let that be quite dry before you apply ye F. brush.